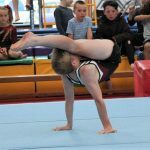 Gymnastics New Zealand is pleased to release Newsletter 1 and the Provisional Timetablesfor the 2018 New Zealand Gymnastics Championships to be held at ASB Arena, BayPark in Tauranga. Please note that the event is now to finish one day earlier than what has been previously communicated. The event will commence on Wednesday 3 October and will conclude with the Closing Ceremony on Saturday 6 October 2018. We appreciate that this may cause some inconvenience due to planning around the original scheduling from 3-7 October. However, on balance we believe the rescheduled programme will deliver more benefits and flexibility to provinces attending than maintaining the original schedule, more information can be found in the memo attached or available online Here.